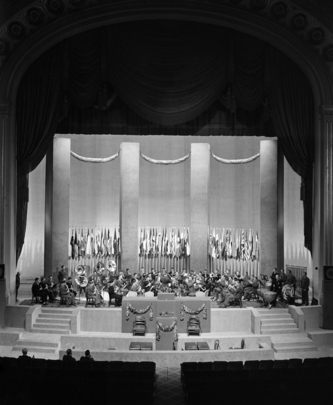 The Audiovisual Library of International Law Historic Archives has a procedural history for the Charter with links to digitized photos and video footage of the San Francisco Conference. The UN Oral History is a collection of audio recordings and transcripts of interviews with eminent persons who were witnesses or participants in various major events in the life of the organization during the period 1945 to 2005. Interviews were conducted by United Nations staff and Yale University researchers on events surrounding the founding of the Organization, crises and wars of independence of selected Nations, and the First Gulf (Iraq) War and its aftermath. The collection represents a special and primary source of information of value to researchers, the press and the general public on the role of the United Nations during this turbulent time in world affairs. Oral interviews on the review of the Charter by various participants. The Audio -Visual Library of International Law provides further oral interviews on the Charter review between 1945-2005. 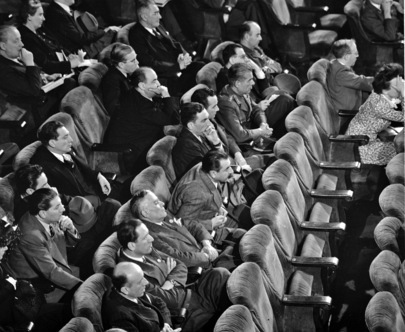 Audience during a Plenary Session. United Nations Conference on International Organization. E.R. 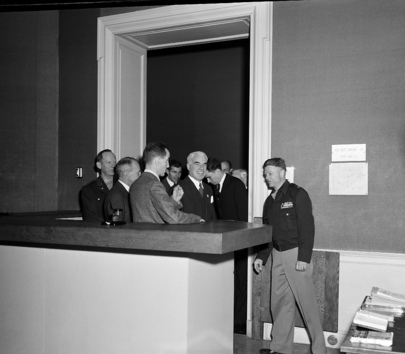 Stettinius Jr., Secretary of State of the United States and Chairman of his delegation (second from right), with a group of delegates in Signal Corps Com Centre. UN photos may be used to further the aims and work of the United Nations. They cannot be used for advertising, marketing or in ways which are inconsistent with the Organization's mission. UN photos cannot be altered, sold, redistributed or used to create derivative works.